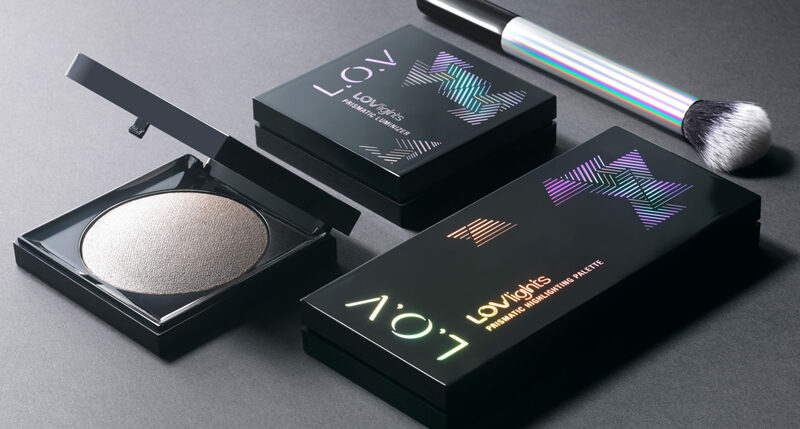 Leading makeup group Cosnova, with brands such as Essence and Catrice, has asked Crépuscule to come up with the design for its new brand, L.O.V. 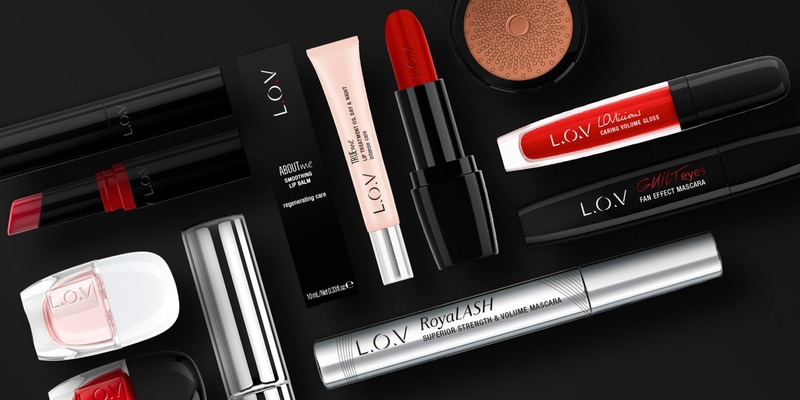 L.O.V offers an alternative to the selective brands: similar performance in terms of formulas, colours and packaging, but at an affordable price. An assured masstige positioning to attract 30-something women. L.O.V celebrates modern femininity in all its facets: strong and sensitive, sensual and pragmatic, confident and compassionate, sophisticated and natural. The L.O.V woman is characterised by her duality which the brand would like to emphasise. L.O.V is definitely a brand that loves women, wants to take care of every one of them and above all, to please them. The brand also encourages women to be self-confident and love themselves and each other through the hashtag #LOVyourself used on its packaging, POS and communication campaigns. The permanent range offers products for all areas of the face (eyes, complexion, lips) and extends to the nails. Each product comes in a wide palette of colours to satisfy all needs and to elevate and enhance every woman. We wanted to create a sensual brand, without casting aside our expertise. Every letter and dot was created by playing with light and shade to subtly represent the L.O.V woman’s duality. 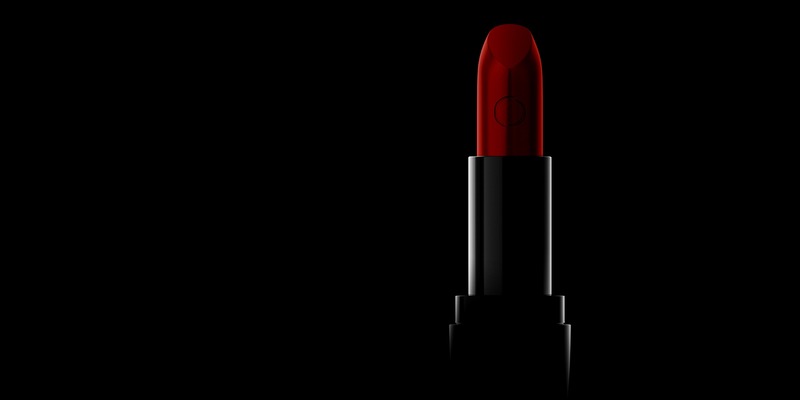 Evoking the luxury of a precious ring and the duality of the L.O.V woman, the bookmark, taken from the logo, is one of the brand’s strongest symbols: used on the lipstick bullet, etched into blushes and eyeshadows, it also appears in communication campaigns. For the primary packaging, which was custom-made for the brand, we chose a deep, timeless black that enhances the sophisticated colours and the delicate design of the compacts. We used a glossy finish to magnify the curves of the packaging. The boxes have a stylish matte finish. Sophistication is pursued to create a meaningful name for each product, each with its own logo. Each logo is a partnership of straight expert typography and hand-written typography, like the signature of a self-assured woman. A sub-range called PERFECTitude was created when the brand launched. This range offers consumers the opportunity to achieve perfect makeup results with more powerful formulas than the traditional offer: long-wear benefits, a smooth, luminous finish, an immediate radiant effect, mattifying base and UV protection. This specific offer has its own identity: a core logo that includes the bookmark in powder pink and layout rules that are different from the standard products. With the success of its launch, the brand continues to expand its permanent range with innovative products in terms of texture, benefits and packaging, but also by introducing new, up-to-the-minute colours. These innovations are inspired by the launches of luxury brands that have not yet been released onto the mass market. Some products have more innovative finishes and materials to create a buzz around the offer in-store, by standing out from other black packaging: soft touch matt finish, silicone palette, metallic finishes, laser etching. Everything is done to surprise the consumer and make them even more beautiful. 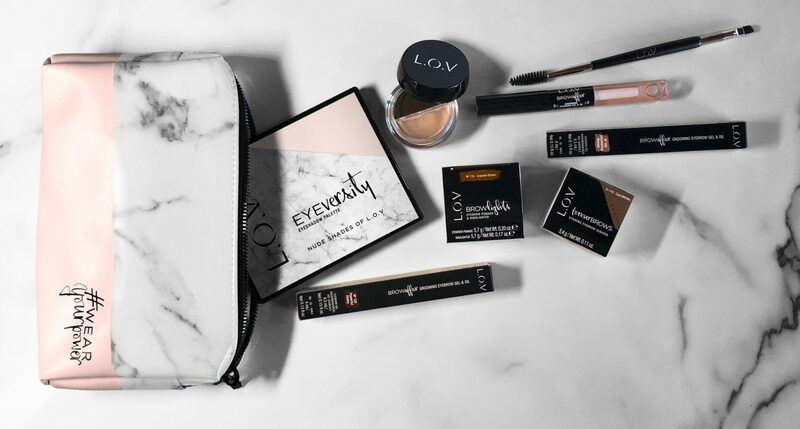 Limited Editions are launched regularly, in the form of exclusive collections with a common theme: a season (the Autumn Collection), around a category of on-trend products (eyebrow products) or a recurring event in the year (Christmas & New Year). Some products are also launched outside the collections, sold in a limited number only on the brand’s website to offer consumers colours that are even more original than in store. Available in Germany, Austria, Switzerland, Ireland, Hungary, Slovenia, Spain and South Africa.